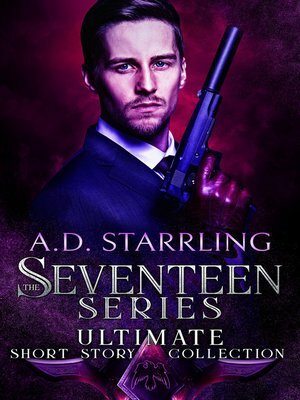 All six short stories in the bestselling supernatural thriller series Seventeen in one ultimate collection! 1570. Carpathian Mountains, Moldavia. Ten-year-old Lucas's life is a simple but happy one. All that changes when the Hunters finally track down his whereabouts. On a hot summer's day in Boston, US Marine turned Homicide Detective Reid Halsey finds himself in the middle of a deadly shootout and uncovers an unearthly reality that will forever change his life. When an ancient enemy rises in the West, the Order of the Three Spears sends its best and most unorthodox field agent to investigate. In the course of his mission, Yonten crosses paths with an extraordinary immortal operative whose actions will determine not just his own fate, but that of the immortal societies and the entire human race. After the war between King Louis XIV and the League of Augsberg reaches a pivotal moment at the Siege of Namur, Bastian immortal Conrad Greene and his company of elite intelligence operatives are sent to Liège to track down the traitor supplying the enemy with stocks of a new, powerful gunpowder. When an unexpected visit results in a surprising addition to his team, the captain must resist his all-consuming attraction for newcomer Laura Hartwell in order to solve the mystery of the gunpowder plot. When internationally-renowned thief and Crovir immortal Howard Titus hears of a hoard of gold and cash about to land in the vault of the First Chicago Bank, he has only one thought in mind. Getting his hands on the dough. On the night he breaks into the bank, the Crovir thief comes face to face with a man who challenges everything he thought he knew about the immortal races. Grab this gripping collection and start the epic series today!